Hell-Believing, Wrath-Preaching, Fire-Breathing Christian—What If You’re Wrong? Chances are, it’s a belief you’ve grown up with all your life—God loves humanity so much that He sent His Son Jesus to die on the cross in order to save us from His eternal punishment of sinners who don’t love Him back in return through believing in His Son and repenting of their sins. As the story goes, through His crucifixion, Jesus took upon Himself the punishment from God that we deserve for sin. God required the death of Jesus in order to forgive sin, and personal faith and repentance are how we benefit from that event. Otherwise, the work of Jesus isn’t applied to our account and we are doomed to spend eternity in a place of unimaginable suffering where our greatest wish is to die, but by God’s design we are prevented from doing so—it’s hell, and it’s forever. For those who might find this storyline of human redemption difficult to stomach with its dark portrayals of God, the Gospel, and Jesus. For those who wonder how God could claim to be so loving and yet act so sinister in not only imagining this kind of hell, but creating it and making the brutal murder of Jesus the only way out of it. For those who dare to look ahead towards the psychotic duplicity of what it might feel like enjoying eternity in the bliss of heaven while your loved ones scorch in unbearable suffering. For those this whole damnation-thing strikes their conscience as being a bit unsettling, unnerving, and confusing—we’ve been taught a simple fix. Hell is a necessary and natural manifestation of God’s divine holiness and justice. In heaven, we will encounter these attributes so completely and fully that any doubts we might have about God or people suffering eternally will somehow no longer haunt us, but rather rest peacefully and easily upon our souls. So much, that in the presence of God who allows for, created, and sustains hell, we will be forever desiring to sing His praises as millions of others suffer unimaginably. In short, the brutal, violent death of Jesus and a hell of eternal pain and suffering have been handed down to us unquestionably as the ultimate reflection of God’s character and His best ideas for how to extend and make real His deep abiding love for humanity. Maybe for you, these popular teachings regarding God’s narrative of salvation are a comfortable fit and central to your faith understanding. In your mind, if people go to hell, it’s their fault, not God’s. God can do whatever He wants, and if Hell is the setup, so be it. Besides, the Scriptures are clear, people have been warned—believe or burn, that’s the Gospel. If one rejects Jesus and refuses to heed His commands, they’ll get their just reward—an eternity of torture. God is holy, just, and sovereign no matter how vicious and brutal things play out—for His ways are not our ways, who are we to cross-examine the Divine? Therefore, you proudly and boldly declare the reality of a flaming eternity and the glory of God in sending (or allowing) people there who reject Jesus or live disobediently—thanking God, it’s not you, of course. Or perhaps for you, as much as you dislike thinking about hell and are even inwardly perplexed by its reality in contrast to a loving God, your understanding of the biblical witness and teachings of Jesus seem to leave you no other choice but to conclude that hell is real and real people will be spending eternity in some kind of suffering existence that affords no hope and no way out. It’s not how you would draw it up, and the whole idea is secretly unsettling to you. When it comes to God’s wrath, burning in flames, and the brutal crucifixion of His own Son, you’d just as soon focus on something else and hope it all comes out in the wash. You have your doubts, a lot of questions, and significant uneasiness with it all, but that’s about as far as you’ve taken it. Wherever you are on the spectrum, chances are, without a hell for unbelieving sinners, the foundations of your faith understanding make little sense and largely comes crashing to the ground. In your mind, if there’s no hell, there’s no purpose for Jesus. If there’s no hell, there’s no purpose for believing. If there’s no hell, there’s no purpose in being a Christian. If there’s no hell, what’s the motivation? If there’s no hell, what’s our message? If there’s no hell, what’s the Gospel? If there’s no hell, what happens to all the effort I’ve put into my righteousness? So, as difficult, foundation-shaking, and faith-unraveling as this question could potentially be, I’m still going to ask it—what if you’re wrong? What if hell is nothing like you think? What if hell (if a place at all) is actually just as Jesus alluded, a literal place (Gehenna) located in Jerusalem associated with the valley of Hinnom that was used as the city dump where a fire was constantly kept to burn up and consume all of the city’s unwanted junk? In fact, the word Gehenna occurs 12 times in the Greek Manuscripts of the New Testament, each time being mistranslated to mean “hell” in several versions of the Bible, even though Jesus used it as a clear reference to a city dump. What if it’s an embarrassingly huge stretch of theological abuse to determine in one moment that the admonition by Jesus to, “pluck your eye out” is certainly not to be taken literally, but yet in the next moment, His literal use of “Gehenna” in the same sentence should somehow be unequivocally understood to refer figuratively to a real place in the bottom of the earth where people are tortured by the wrath of God in eternal flames? Really? What if the other three biblical words traditionally interpreted as referring to a “hell of fire and eternal torment” actually are grossly mistranslated and don’t actually mean “hell” at all? In fact, Sheol occurs 65 times in the Hebrew Manuscripts of the Old Testament, and it simply means “the grave” (the place of the dead) or “the pit.” Hades occurs 11 times in the Greek Manuscripts of the New Testament and it is the direct equivalent of the Hebrew word Sheol. Thus, it also simply means “the grave “or “the pit.” Tartarus occurs only once in the Greek Manuscripts of the New Testament in this verse: “For if God did not spare the angels who sinned, but cast them down to hell (tartarus) and delivered them into chains of darkness, to be reserved for judgment.” Notice that God casts the angels (not humanity) who sinned down to tartarus and chained them in darkness, to be reserved for judgement. What if the single word “hell” we use today and associate as “hell” (a place of fiery, eternal torture) is actually not found in the Bible—nowhere, and in no manuscripts? It’s true. 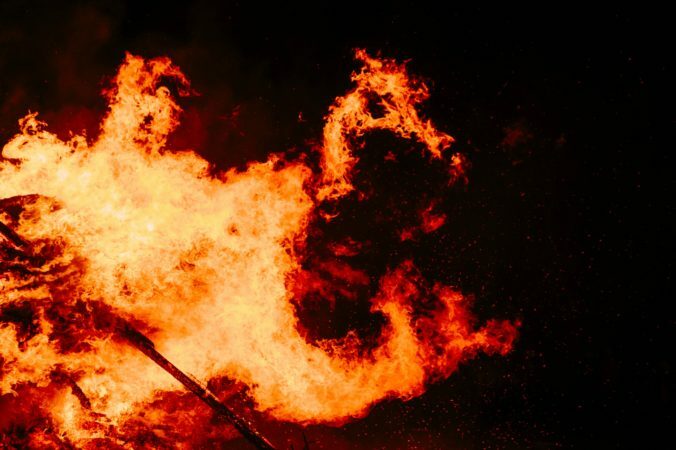 What if, in fact, much of modern Christianity’s convenient love affair with a hell of flames, wrath, and demons comes much more from the influence of Dante’s “Inferno” than ever could be derived from the true words of Jesus? What if the wrath of God is not Him pouring out anger, vengeance, or retaliation, but rather His furious love—grasping, reaching, shaking to possess every person that they might experience His Grace? What if hell is the experience of religious-hearted people who despise the pure Grace of God and His unconditional love and inclusion of all people into Himself and the Kingdom? In the eternal presence of the white-hot love of God forever flowing out as a river from His throne (Daniel 7:10), their souls are scorched with frustration, rage, and torment as their self-righteousness, conditional love, and religious arrogance, bigotry, and intolerance are exposed—stripped, and rendered powerless and evil. All of it deemed as filthy rags fit for the lake of God’s all consuming fire—the blistering flames of Grace. The presence of all people of every color, gender, orientation, stronghold, sin, and creed sends them into legalistic episodes of uncontainable protest and rage—how can this be, how is this fair, how dare the cross include all of these? Resigned to spend an eternity in the presence of pure Grace, the only way it becomes heaven for them is to do what many will refuse—to repent of their demonizing of God, their worship of the Scriptures, and their own legalistic understandings of it all to the exclusion of truly knowing Jesus and His heart. For the same Grace and love that will be experienced as heaven by many, will be a sure torturous hell for some. Jesus forever flips over the tables yet again, and those whom religion joyously sends to the curb are given a prized seat of bliss, and those whom religion gives elite privilege are found to be pouting and wallowing forever in religious disgust. What if Jesus didn’t die to save us from white-bearded, angry, and vengeful God, but to save us from a fear-driven faithless life of believing He is? What if Jesus didn’t die at the hands of a God who required His blood-soaked death in order to forgive, but rather at the claws of the religious and their diabolical systems of evil whose chief desire is to murder pure Grace and all its self-righteous destroying, all-including implications? What if, in the hands of a world dripping with oppression, Jesus, through the cross, chose the way of nonviolence, sacrifice, service, forgiveness, inclusion, and unconditional love to model and manifest the Kingdom that was already eternally established by His Grace? What if Jesus didn’t die to forgive us, but to manifest to the world that God already had, long ago outside of time in the realm of eternity? What if God isn’t schizophrenic after all—harboring unconditional love for humanity one moment and eternal hate the next? What if the truth is, you can’t reject Grace—you can’t stop its presence, pursuit, favor, or blessings over your life or that of any other, you can only love it or resist it? Loving, believing, trusting Grace fills your life with heavenly rest. Not loving, believing, and trusting Grace fills your life with a hell of frustration, self-righteousness, bitterness, religiosity, judgementalism and angst—as long as you desire, even for eternity. What if God isn’t an insecure, limited, and codependent parent, whose capacity to save, love, and forgive are restricted to and governed by the obedience (or disobedience) of His children—thus, making them the Lords of the future, not Him? What if God never changes—He is love through and through, forever and always, no matter what or who? What if the presence of alternative biblically-faithful interpretations regarding ones understanding of hell and God’s connection to it back you into an interpretive corner, so much that if you believe in an eternal hell of torment and torture for the unbelieving and a God who would author it, you are doing so solely by your own choice? For the results are in—history paints the picture. We Christians have been drastically wrong before—wrong about racism, wrong about equality, wrong about violence and war, the list keeps on growing. Hell-believing, wrath-preaching, fire-breathing Christian—what if you’re wrong, yet again? If I’m wrong, then God will most certainly go ahead, around, and over me in a divine full-court-press to scare the hell out of the people I’m misleading—literally. For there’s nothing about me or my message that the Holy Spirit is powerless or unwilling to usurp. Any wayward guidance on my part can easily be reversed by the omnipotent leading of the Father. I would boldly stand before the Throne having exaggerated the goodness, love, and Grace of God—if ever that could be a thing. But, if you’re wrong, you have participated in nothing less than the evil demonization of God and the sheer blaspheming of His Spirit. You’ve allowed your spiritual laziness, vulnerability to religious brainwashing, and twisted comfort with the notion of people going to a torturous hell and a God who would create it, to win over your heart, mind, thinking, attitudes and actions. You have leaned on your own understanding of the Scriptures to the spiritual abuse of others—imprisoning them into a life of fear as they are raped of their capacity to know the joy, freedom, and peace that comes from awakening to God who is love, Jesus who is Grace, and the Gospel that is truly good news for all. Wow, Chris. I can only imagine this must have been tough to write, to put it out there in black and white–tough to write, but desperately important. I had to cringe a few times reading it, my intellect wanted to argue at a point or two, but my heart kept gulping and the extravagant goodness of God. You have made so many things clear to me which I’ve struggled with for years. I do very much appreciate all that you have been through to make you into the person you are, the brave banner bearer into the fray. I once heard a minister talking about John 3:16 saying “. . .shall not perish” was like we’d put on a box of fruit, saying “perishable.” God doesn’t want any of His good, his grace, his beloved ones, to perish. You have so expanded my understanding of that little thread I’ve held on to for years. Thank you, and may God continue to give you words of encouragement to lead us on. Gale, so glad to have you read and share your thoughts. Indeed, this was some deep waters to try to put into words. I certainly don’t have all the answers, but these are the kinds of things that I believe God is revealing afresh to a world (and church) desperately in need of awakening to Grace. Oh so utterly and beautifully well said! Thank you, thank you, thank you for this! Wow, this is incredible. I’m going to link to it on my blog, if that’s ok with you. Thanks Tony, that would be a great honor. I’ve never read any of your stuff before; a friend just tagged me in this… and I’m so so glad. This was so beautiful, I am teary. I have never been able to reconcile the teachings of hell with who I knew God to be. It’s His divine justice, they’d say! But I could never get on side… I knew God as my good good Father… a Father that gives every good gift… and also condemns them to eternal damnation if they don’t agree? Thank you for putting (beautiful, articulate) words to so much of what I have long felt and believed but never dared say within the church. Thank you. I may be wrong. But I am always willing to be wrong on the side of love. I’ve never read any of your stuff before; a friend just tagged me in this… and I’m so so glad. This was so beautiful, I am teary. I have never been able to reconcile the teachings of hell with who I knew God to be. It’s His divine justice, they’d say! But I could never get on side… I knew God was my good good Father… a Father that gives every good gift… and also condemns them to eternal damnation if they don’t agree? Thank you for putting (beautiful, articulate) words to so much of what I have long felt and believed but never dared say within the church. Thank you. I may be wrong. But I am always willing to be wrong on the side if it’s love. Stephanie, thanks so much for reading, commenting, and connecting with me! So grateful for your experience of this article and for your encouraging words! Grace is brave. Be brave! You speak to my heart. I have not believed in hell & damnation for many years. It doesn’t make sense that the God who formed the universe in all it’s elegance and beauty would be so mean, demanding, cruel & petty. It is certainly telling that the verse “My ways are not your ways, says the Lord,” occurs in Isaiah 55, a chapter that is 100% about blessing. Here is the whole of the glorious chapter in which Isaiah [“Deutero-Isaiah,” the author of chapters 40 through 55] gives us the message that God’s ways are not our ways. Gretchen, great insight. Thanks for reading and commenting! Another piece to the puzzle: Prison in the Ancient Mediterranean wasn’t like our modern jail-as-sentence prisons, but instead just a place to keep people who were awaiting trial. It’s not a place you go forever, but a holding area. If you were found guilty, you’d be fined, killed, exiled, or sent to labor in the mines. Jesus doesn’t ever talk about God’s eternal salt mines of punishment; the Angels sent to “Tartarus” are clearly there pending trial. A key detail I didn’t know about until I become a Roman legal historian – here y’all go. Do you mind explaining the story of Lazarus and the rich man and how it applies here? Kristen, the story of Lazarus is many things, but certainly not a commentary from Jesus on the nature and reality of hell. A simple google search seeking various interpretations on this story will reveal this understanding. Thanks for reading and commenting! Read “The Mind of the Bible Believer” by Edmund D. Cohen. I grew up in the church. I certainly owe religion a debt. It gave me an identity & kept me safe as a teenager. I chose to go to a religious school. I had to pass Bible class to graduate. I aced it, but I had questions. I was told I couldn’t ask questions. I had to have faith! Believe! Well, I stopped believing & I walked away. I haven’t missed it. The spiritual disconnect that I see in believers around me causes me great pain. Believers don’t like it when someone uses scripture to point out an error in their stance on a belief. They really don’t like it when told that their God might be psychotic! I have heard that I’m going to hell. It always makes me smile. I can’t imagine spending eternity with the folks who claim to have a place in heaven. They are really, really awful to be around. Peace. I am so glad to finally hear from a pastor like you! I have a question for you regarding the character of God, if you have time to address it. I truly believe that God’s character is as you describe it, full of love and compassion toward His creation. If that’s the case, what about the acts of genocide carried out by the Old testament Israelites? This is the last wall between my Athiest husband and I concerning my Christianity, and I frankly don’t have an answer for him. After reading your last few posts, I am hoping that you do. Thank you so much. I am grateful for your reply! Do you hold to a universalist theology? A nagging question for me: What about the plagues in Egypt? These don’t seem like things that could have been done by men yet incorrectly ascribed to God. Especially killing every firstborn son and the Passover. Thank you for your wonderful and brave post! To this day, Hurricanes and all sorts of natural disasters are attributed to God. People claim to see Jesus in slices of bread as if God specifically manifested Himself in that way to them. The Holocaust was driven by spiritual ideologies and by some, attributed to be a kind of cleansing by God. Sorry, I don’t think you answered Caysea’s question Chris. I would really love to hear your thoughts on her question as I think it is an honest one. Here is the real issue with this kind of warped theology (if you can call it theology at all) If Jesus didn’t die on that cross for salvation from sin, death, and hell that he personally was a liar because that was/is His declaration. That is the sum of John 3:16. The word “Perish” means to be destroyed. Similarly Sheol means “Lowest parts” and it context of the scriptures that contain the phrase it means The Lowest Part of Death, whereas when we die we go to the Highest part of Life. Keep in mind that ALL of Satan, Death Hell, and fallen people and angles are cast into a Lake of Fire in Revelation 20, so Hell is NOT the final destination. I could easily go into the OT and quote scripture after scripture that affirm this fact, but I think you get the point. The scripture from Timothy below describes exactly what is going on with your generation and the Millennials. They simply cannot reconcile their lifestyles And desires with the ways of God, so this “false doctrine” lines up perfectly with their experience. I like.There’s no way man without faith.Can live like hell and make it to heaven.No way! How in the world can you live like hell and enter heaven?What’s the purpose of living a holy life?Its so we go to heaven and not hell.Say if people dont go to hell or hades.They people will experience hell like.As stated in Revelations.There is a consequence for sin.Without faith.Te consequence of sin without faith isnt going to be vacation for eternity.Lol!Plagues will be given out,nashing of the teeth is not paradise. Neither of the last two authors, Jeff F., Nor Ronald A.–neither ONCE mention God’s love, nor God’s grace. I rarely use the word “hate” for anything, but I would HATE to live without God’s love, and grace!!! Thanks Chris! I really enjoyed your thoughts. I was just thinking yesterday about friends from church who have become awful people in their bid for “holiness”. Rude, prudish and judgmental, they are sheep following every ridiculous conspiracy theory put about on the internet, without any critical thought. Everything is a war against holiness. Ridiculous! They are constantly arrogant and rude about gay or Muslim people and use cruel scriptures to justify themselves. They talk about representing Jesus? And talk about spending eternity in heaven with Him??? Good grief. What do they even have in common with Jesus???? Nothing that I can see. Radie, the power of the religious spirit is at an all time high. The devastation it caused in my own life makes me so grateful I have been awakened to Grace. My only hope is that more will encounter the goodness of God and be set free! I’ve been there too Chris. I so regret raising my children in church. The shaming and control….. I had such an amazing conversion as a teenager and felt this immense love, but church seemed to work against the love I experienced in that moment. I decided after decades in the church and ministry to live totally church free. It’s been a journey, but the strange thing? I’m experiencing the joy, love and freedom I was promised in church but never achieved because of the rules and shaming. I no longer fear or believe in hell. I realized in a sudden epiphany that I hate the concept of heaven as much as hell. Knowing death isn’t even the end of the judgement and accountability. What’s to look forward to? Spending my days trying to coerce people rather than really love and accept them? No. That wasn’t for me. Letting go of my belief in heaven and hell was a great moment, and I strangely have not turned into a godless ax murderer. Nor do I feel lost, lonely or desolate. It’s rich and full to simply love people for who they are and not because you have a job to do. It feels more like the love I felt at my conversion. Sadie, well said and thanks so much for sharing a bit of your journey. I am sure your comment will be a great encouragement to others who are walking in this same path. Chris thank you for all of your blogs. You articulate my very thoughts and questions so well. I cannot resolve the belief that those good people through no fault of their own, happen to be born in another country, another culture, immersed in a different religion will be sentenced to an eternity of agonizing torment. By a loving father that loves the whole world? Because they didn’t “choose” Jesus? Really? How can anyone practicing Christianity be accepting of that? When I ask friends that believe this, they avoid answering, or give me the usual regurgitated responses about not understanding God’s ways. That kind of God I want nothing to do with. Can someone be justified without choosing Jesus? Chris, I thought you said you weren’t a Calvinist or a Universalist. I read your post shortly after it came out. It moved me so deeply that I emailed it to my father, a messianic rabbi. And, just today, I happened back across it when going through my archived emails. You have summed up a journey that my mind and soul have taken over the last decade. I began as a conservative evangelical and now I describe myself as a near universalist (those who are excluded will be excluded by their own decision to reject Grace and refuse to enter the Kingdom; which is in some ways to the important and passing point Dante makes about how the gates of Hell are left unlocked). Grace is a powerful thing and it is too often a stumbling block for those who can’t accept something so radical. It always amazes me how people use phrases like “cheap grace.” It isn’t cheap, it’s better, it is offered for free (the meaning of Christ’s life and death; the depiction of God’s great love for all of us acted out in life and death). Still we demand vengeance, justice, etc. and can’t accept the idea of people we consider unrighteous or somehow less than us (they didn’t perform the work of saying the sinner’s prayer, right?) sharing in the same eternal reward. Thank you for bearing your heart of writing this. God bless and keep you. So well said John, thank you so much for sharing a bit of your story. So powerful! Inspired by your courage!